To help fulfill what Cornell President Martha E. Pollack describes as Cornell’s determination to serve the greater good through public engagement, the inaugural Engaged Graduate Student Institute brought students from programs across campus together Nov. 9 to learn how to conduct research while making a positive impact on the community. 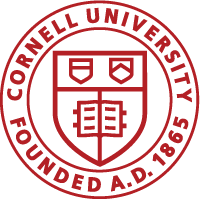 The Engaged Cornell event on community-engaged learning and research had interactive sessions that focused on best practices in community partnership, critical reflection, how to include community voice in research, and standards of practice in community engagement. “At its core, it’s about being involved, building relationships, collaborating with off-campus partners in some way to benefit the public good,” said Mike Bishop, director of student leadership in the Office of Engagement Initiatives, which organized the institute. Read the full article on the Graduate School website.